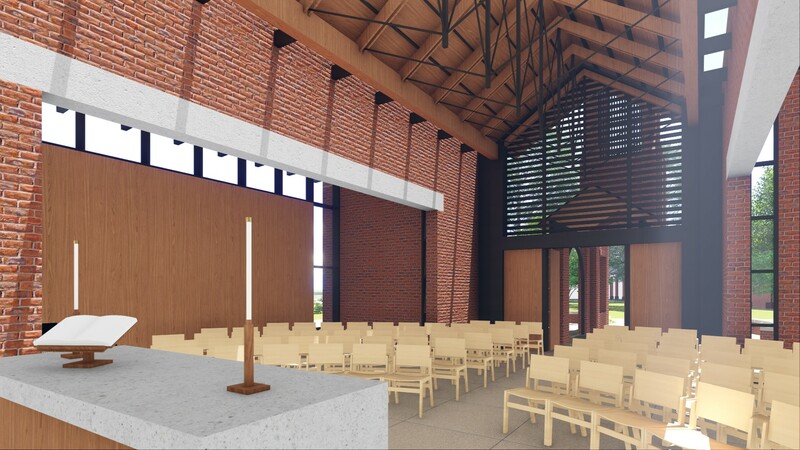 Designed to be both a visual symbol and spiritual sanctuary, the St. Andrew’s Chapel is located at the crossing of two primary axes extending through the grades-five-through-12 campus. 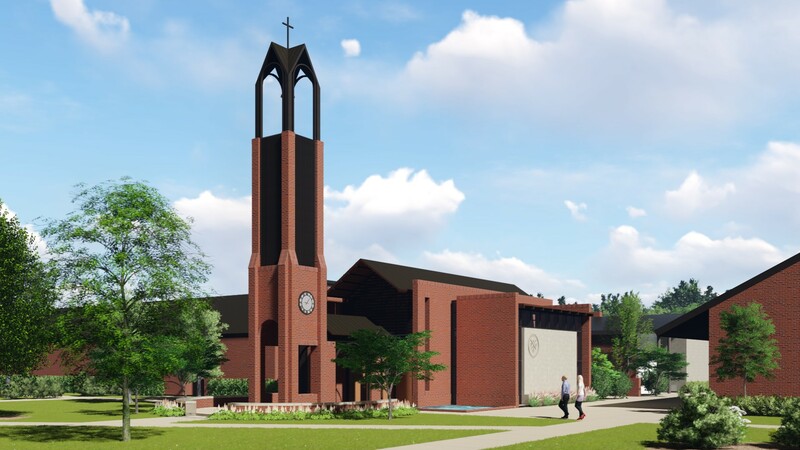 The site is marked by a new bell tower, establishing a new landmark and outward symbol of the school’s Episcopal tradition. The entry to the chapel is flanked by pools of water symbolizing baptism and creating a subtle separation of the interior space from the bustling campus. The chapel offers flexible seating for 120 to accommodate different expressions of worship. 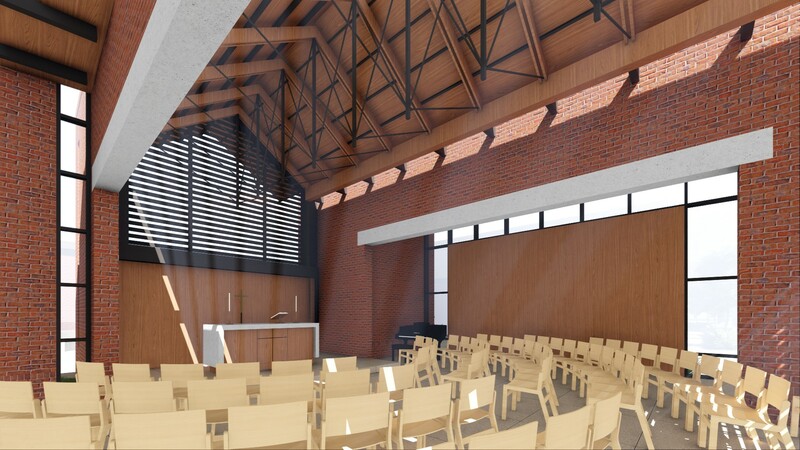 An operable wall system behind the altar is designed to open to the exterior, allowing worship to extend beyond the walls of the space while retaining the altar as the focal point.